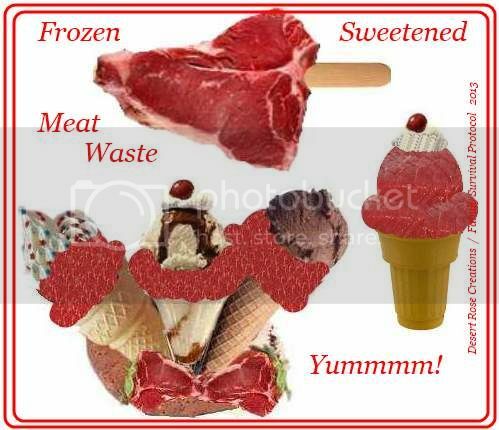 (NaturalNews) There appears to be no limit to how far the processed food industry will go to maximize its profits, even if it means reprocessing animal meat waste and adding it to completely unrelated foods like ice cream. This is the latest endeavor by industrial food researchers in Italy, Belgium, and elsewhere, who are right now developing novel methods to turn meat industry leftovers into protein-rich powders and slurry for the factory food industry. We have very exciting news to share! Today, in a landmark victory for animals in laboratories, India has announced that it will implement a ban on using animals to test cosmetics! Nice to know that when push comes to shove there are voices of reason to be reckoned with inside state wildlife agencies. I recently had encounters with three state wildlife agency biologists. All of them were quite open with their criticisms of their agencies predator policies. I can’t reveal their names and I will change a few details to hide their identities. If you have not done so yet, please click here to contact your Senators and Congresspersons today to ask them to support the SAFE Act. Today (6/28), as expected, the U.S. Department of Agriculture (USDA) announced that it has approved a New Mexico horse slaughter plant’s application to operate in that state. This marks the first time since 2006 that a horse slaughter plant has been approved to operate in the U.S. The plant will still have to clear state permitting hurdles before opening. Let there be no doubt that this is a real threat to all American horses — both wild and domestic — and we’re going to have to band together in the coming weeks and months to make sure our laws better reflect the will of the people on this issue. Polls have found 80 percent of Americans want horse slaughter banned. GREAT FALLS – Two Montana teenagers died in apparent hunting accidents over the weekend, including a 17-year-old boy who was shot and killed by his 14-year-old sister as she was unloading a rifle, authorities said Monday. The separate shootings happened Saturday, the opening day of hunting season in Montana. The siblings from Power were on a hunting and camping trip with their father, friends and other family members in the Missouri River Breaks about 70 miles south of Chinook. They had finished hunting for the evening Saturday and the girl was unloading her rifle when it discharged, said Blaine County Undersheriff Pat Pyette. The 17-year-old boy, who was standing less than five feet away, was shot in the face, Pyette said. He died at the scene. On July 1st of this year the Wisconsin DNR is sanctioning the release of an invasive predatory species upon the northern part of our state. This species is a viscous predatory canine with an insatiable appetite for blood, grandchildren :), and any wildlife species that is in their path. Is it the gray wolf? No. Is it the coyote? No. Fox? No again. It is a species known as “hounddogus redneckus.” Also known as the “bear hound” and it will be terrorizing Wisconsin bears and other wildlife with impunity starting July 1st when thousands of these invasive species are released into our woods for “training” against bear or whatever species gets in their way. Five men from the Pondera Hutterite Colony face misdemeanor charges in federal court for allegedly burying two grizzly bears that they say died from “exhaustion” in a corn field in September 2012. 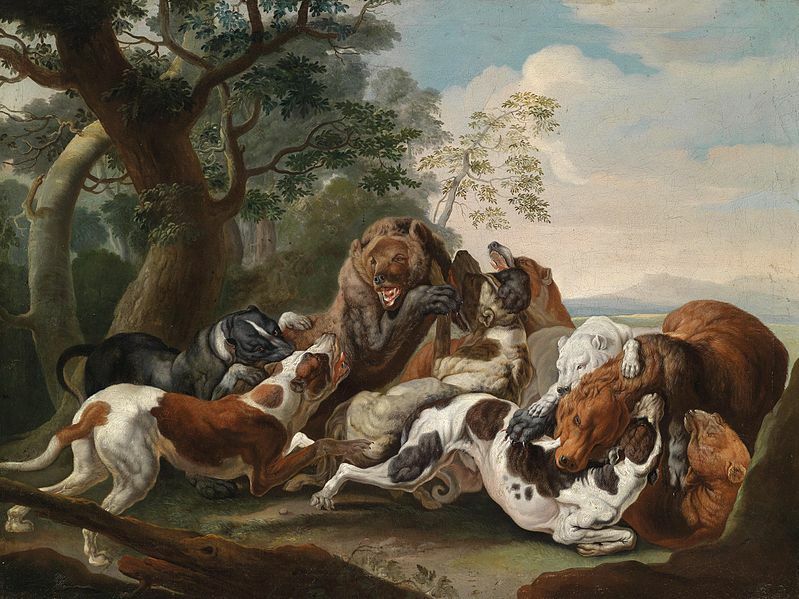 Court records say that “half the colony” members had been outside chasing the bears prior to their deaths. One of the bears may have been a research bear that Montana Fish, Wildlife and Parks had collared with a radio as part of a population trend study. The colony is located on Montana 44, known as the Valier cut-across road, between Dupuyer and Valier, about 90 miles northwest of Great Falls.